Not too long ago visual page builders didn’t exist. It meant that anyone without coding knowledge was out of luck if they wanted to launch a simple sales page for their business or a landing page to get the word out about a new invention. You had to rely solely on web developers and designers–and those came with significant costs. Furthermore, those developers and designers had to work with CSS and HTML to make even the slightest style change on a website–a task that took far longer than anyone would care to admit. Eventually, shortcodes came along, speeding up the development process for those who wanted to skip the whole HTML thing. But the real revolution started with the WordPress page builder–an impressive addition to WordPress that turned designing into a more visual procedure. Web developers can now manufacture more sites in a fraction of the time (making way for more customers and money). In addition, the beginners and startups out there don’t have to rely on a pricey developer, because they can construct a website with drag and drop elements for items like carousels, images, videos, columns, product galleries, portfolios, and more. What’s the Point of a WordPress Page Builder? Have you ever tried to create something as simple as a Contact Us page? You might include a form with fields for a user’s name, website, email address, and the message. Then you may want to insert a map that leads to your offices, along with some links to your support pages and information about your company. Don’t forget your phone number! Even though the Contact Us page is one of the more rudimentary pages to construct, it takes a decent amount of formatting, coding, and headaches to complete the process without a visual builder. Yet, when you install a WordPress page builder, all of that changes. Not only can experienced developers speed up the development process, but beginners no longer have to worry about that messy code. In addition, much of the content is shown on the screen as it’ll display on your website. No tweaking and hitting the Preview button anymore! As we suggested, the Contact Us page is just about the easiest webpage you can make, but a WordPress page builder offers even more advantages when you have rows upon rows of content. A slider to feature the most recent promotions. A WooCommerce product gallery with the most popular items in the shop. An Add To Cart button for the most recent release. A list of testimonials from past customers. A countdown timer announcing the most recent product launch. A navigational menu at the top, guiding customers to the best categories. Animated headlines to explain your company and the products it sells. Arranging all of that takes quite a bit of time, but a WordPress page builder could potentially cut that time down to 20 minutes if you get used to the builder’s interface. After that, the best page builders allow for column and content repositioning, resizing, column configuration, padding, colors, and much more. The best part? These tasks are typically completed by using your mouse. We’ll talk about each of the WordPress page builders in-depth, but if you’d like to try them out right away, feel free to click through the list below. Quite a few WordPress page builders exist on the internet, and this makes it rather tricky when it comes to choosing one. The good news is that we’ve whittled down your choices to ones that have excellent ratings and incredible features based on our tests. It’s also important to us that the page builders are compatible with most WordPress themes. So, we’ll outline the best of the best and talk about some of the situations in which you might consider one WordPress page builder over another. Elementor is available as a free plugin download, but you also have the option to pay for the Pro version. The Pro version starts at$49 for one site and goes up to $199 for unlimited sites. As you’ll discover with the features listed below, and with Elementor’s ease of use, this is quite the steal. The free Elementor download offers a simple yet powerful WordPress page builder, with one of the fastest interfaces you can find. Everything is instant, from live edits to the instant page loads. The standard page builder features include animations, shape dividers, gradient backgrounds, and headline effects. There’s even a template library with stunning WordPress templates, all of which you can pick and choose from. The free version of Elementor is also mobile-friendly, with some handy tools for maintenance mode, under construction pages, landing pages, and more. As for the overall performance and feature-set, it doesn’t really matter whether you go with the pro or free version. It mainly depends on what you need for your particular site. That said, the Pro version of Elementor is a thing of beauty. To start, Elementor Pro includes over 26 widgets for formulating the perfect pages, whether it be for eCommerce, portfolio work, or a regular business website. For instance, you can insert Facebook buttons, pages, and comments throughout your website, while also taking advantage of WooCommerce widgets, such as categories, products, or element modules. The live form editor means that you no longer have to spend time in the backend working with forms. Not to mention, you can save your widgets to be pasted over into other pages or websites. The free version has templates, a speedy design area, and a truly live design experience. The paid version only starts at $49 for one site. You won’t have to install other plugins for maintenance, coming soon, and landing pages. Save edited widgets to be used all over your website. Choose from over 26 widgets, some of which include videos, buttons, icons, social icons, image galleries, and counters. You can translate your website to dozens of other languages. The developer API is open for the Elementor plugin to be extended and integrated into other systems. Don’t forget to also check out our interview with Ben Pines, the developer behind Elementor. GeneratePress is a free WordPress theme, but we like to consider it as a simplistic page builder solution, perfect for beginner webmasters, bloggers, and developers who want an uncomplicated, rapid visual builder. In addition, you can add the handy premium Sections add-on to incorporate drag and drop functionality to your GeneratePress interface. Let’s start with the theme itself. GeneratePress is a simple, lightweight, and free WordPress theme with rave reviews and a beautiful layout for landing pages, blogs, business websites, and sales pages. It’s hard to figure out a market where you couldn’t utilize the GeneratePress theme since it’s so modern and clean. Needless to say, if you’re tired of clunky, slow themes, it’s worth checking out GeneratePress. Most of the editing is done through the WordPress live editor when working with the free theme, but you gain access to all modules (add-ons) including Sections, when you opt for the premium version of the theme. Without Sections, GeneratePress presents an insanely quick way to construct a beautiful website. Yet, once you add the Sections module it opens up many doors for design. In short, the module lets you add a section, then add content to that section such as media, text, headers, colors, and background colors. 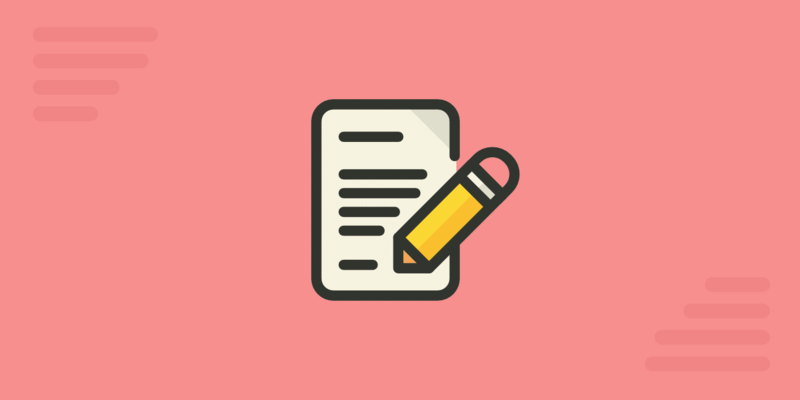 So, you might design a list of your product features with bold text, images, and links. As we mentioned, the combination of GeneratePress and Sections is all about speed. Once you have all of your sections created, you can move them around with the drag and drop interface. The sections are stacked on top of each other, so most of the movement happens on a vertical basis. GeneratePress delivers the potential to create and manage a professional website within minutes. There’s a free theme that works wonders, but you do have the option to pay around $40 for the premium theme with over 14 modules (including Sections). The Sections module adds that much-wanted drag and drop functionality, so all you have to do is move around your bits of content to organize them. You can place the premium version of GeneratePress on an unlimited number of sites. In other words, a developer or agency would only have to pay $40 to have a theme for all clients. You get some other awesome modules for things like colors, WooCommerce, typography, menus, page headers, blogs, backgrounds, spacing, and hooks. You get carefully and well developed performance optimizations, such as dynamic CSS caching, a default option of a system font stack (no font files), no jQuery, and smaller Font Awesome essentials. Beaver Builder offers a robust WordPress page builder for the creative types who still crave something more than the simplicity of the previous builders. There’s both a free lite version and a premium version. The pricing is a little bit higher than most builders. However, you can use Beaver Builder on an unlimited number of sites, starting at $99. Whitelabeling is offered in the Agency plan ($399,) so it’s clear that the folks at Beaver Builder are also thinking about development houses with clients. As for the WordPress page builder, it allows you to gain full control over your design elements, all by starting with modern and beautiful templates and cleaning your site up with a drag and drop system. Beaver Builder boasts precision with the visual builder, which puts it ahead of other options that have finicky controls. The live, frontend editing is where Beaver Builder flexes its muscles, since you don’t have to keep clicking the Preview button or guessing when making adjustments. It’s a mobile-friendly builder, and the WooCommerce support is useful for those online stores out there. You can save and reuse rows and modules for later use, while also utilizing shortcodes and widgets when third-party plugins don’t integrate with Beaver Builder. Along with reusable templates, an open API, and an import/export feature, it’s hard to find a WordPress page builder that has as many features as Beaver Builder. The live, frontend editing works in real-time so there’s no guesswork, and you don’t have to wait around for changes to be reflected on your screen. The page builder works nicely with WooCommerce. Some of the premium plans come with a Beaver Builder theme, which features a simple, yet powerful design, and some wonderful presets for making dozens of different styles with the click of a button. You get dozens of drag and drop modules including (but not limited to) photos, text editors, separators, accordions, calls to action, number counters, subscribe forms, and pricing tables. The Agency Plan provides white-labeling, network-wide settings, and a DIY web publishing platform for the ultimate environment to serve your clients. All of your layouts can be saved and reused elsewhere on your website. You might even try transferring over some of these layouts to other websites. Divi has made a name for itself since it comes from the impressive developers over at Elegant Themes. As with all Elegant Themes products, you must join as a member to unlock all of the plugins, themes, and other cool features Elegant Themes has to offer. It’s a hub for developers and agencies that require a library full of WordPress plugins and themes. That said, a membership starts at only $89 per year, so it’s tough to argue against it. Divi Builder permits multiple columns, but some of the more intriguing designs on the Elegant themes website show long-form content for blogs and landing pages. In fact, Elegant Themes states that Divi is perfect for telling an enticing story with a vertical display of imagery and interactive elements. The simple configuration options ensure that you don’t need to know anything about coding. However, you can add your own custom CSS if you can’t find something in Divi or if you’d like to incorporate a completely unique element. As with many of the WordPress page builders on this list, Divi also has a feature for duplicating and copying any element with a single click. You can even hide or lock a certain module on the backend if you’d like to save it for later or keep others from editing. With 46 content modules, Divi has one of the largest libraries of website elements to choose from. You even get some beautiful templates to get the ball rolling. Duplicate, disable, and lock items. Divi provides a unique “collapse” feature for consolidating your view and clearing out the area for a less cluttered design experience. Divi also offers unlimited redos and undos. Therefore, you can go back to a revision made far into the past and still jump back to that revision. WP Page Builder, the free WordPress page builder came out to the market on August 1st, 2018, and it has already made name for itself. The features provided by this page builder are there for a reason. It’s been said that the Themeum team has invested years in R&D to deliver the perfect product. The sleek and simple design of this page builder will help you understand it faster, even if you never used any page builder before. The toolbar is very easy to understand making the use of rows and columns even easier. The add-ons are created to perform a specific set of tasks and are able to execute them with perfection. The library section allows you to save any row consisting of a set of add-ons at any time of your work. This feature lets you reuse your work which results in saving a great deal of time. The predesigned blocks and layouts of WP Page Builder are pretty useful elements. Just by taking advantage of the simple drag and drop feature you can create a single page with one click. These blocks are very rich in contents and offer a great design. The layout packs are a great tool to create a ready-made page in seconds. The packs contain one or more pages making it possible to use just one page from a bundle. If you would like to learn more about this solution you can read our detailed WP Page Builder review here. The page builder focuses on frontend editing to provide its user with a great visual of their work. It’s the perfect product for those who like real-time live editing. The simple drag and drop functionality of this page builder will let you use its add-ons, blocks, layouts to move and manage them across any page. It allows you to disable or hide any existing element to clean up later and will allow you to save them for later use. You will have access to a handful predesigned blocks and layout packs, which will enable you to work faster without having to worry about a new design concept. All of the add-ons are free. When you want to use the pro features of a page builder without losing a dime then WP Page Builder is the one for you. Using WP Page Builder doesn’t require any coding skills but if you want to apply more advanced design you can take advantage of the custom CSS option. Page Builder by SiteOrigin has both a free version and a premium version for $29. You can download the SiteOrigin widget bundle without giving an email address or paying an additional rate. The widgets offered include modules for Google Maps, headlines, image grids, price tables, post carousels, and much more. Combine this with the responsive WordPress page builder and you’ve found yourself a simple content creation interface for all experience levels. This is a simple drag and drop system, using grid-based technology and the integration with SiteOrigin and third-party widgets. Therefore, you can construct your website using some of the more familiar widgets that come with your theme. The page builder has live frontend editing, but you also have the option to move around elements in the backend page builder. This provides a simple toolbar towards the top of your content, with buttons to add widgets, add rows, use prebuilt modules, or look at your history. As we talked about above, Page Builder by SiteOrigin is given away for free without the need to upgrade for support or updates. However, you can upgrade to the premium version if you want additional addons, such as the SiteOrigin Custom Post Type Builder, which can help further enhance your site. If you’re interested in a smooth WordPress page builder without the price tag. This includes a large collection of widgets for free. You don’t mind solving your own customer support issues in the forums or documentation. You’d like a backend and frontend live page builder. The SiteOrigin Page Builder provides a sleek, simple toolbar that’s easy to understand. You can add the most important elements like rows and widgets. SiteOrigin integrates perfectly with its own widgets and whatever other third-party widgets you might be used to having on your site. Visual Composer has a strong team behind it! It’s developed by the creators of WPBakery, one of the most popular page builders sold on CodeCanyon. Beyond being easy to use, it’s also packed with features that intermediate and advanced web developers will enjoy. For instance, you get over 50 premium content elements and 100 predefined layouts. The over 40 grid design templates get you started on the right foot, and you can’t go wrong with the over 200 exclusive third-party add-ons. Visual Composer provides both front and backend visual editors. The frontend solution shows you real-time results as you adjust your website, while the backend editor is more of a grid-based interface with modules to drag and drop. As you may have assumed by now, no coding is required when working with the Visual Composer plugin. In fact, the developers have added something called “tree view,” which turns your builder into a layered interface, much like Photoshop or Sketch Layers. Use simple drag and drop editor to move and manage your layout and elements across the page. Buying it separately only costs you $59. You technically receive a 3-1 editor, with the backend, live frontend editor, and the tree view. Visual composer allows you to hide elements and save them for later, cleaning up your design area and reminding you about the module. Page Builder Sandwich mainly works as a free plugin, but there is the option to upgrade to Page Builder Premium, which gets you over 1,700 more vector icons, a customized version of Google Maps, hundreds of shortcodes and plugins, along with the ability to add your own CSS. We like Page Builder sandwich for beginners since it relies primarily on a frontend visual page builder. Therefore, you don’t have to think about any backend designing, removing the need to know anything about code. The drag and drop elements are pretty basic, with simple text boxes and images. You can customize colors and sizes with your mouse and see all of your changes rendered in real-time. Although there isn’t a backend drag and drop editor, Page Builder Sandwich integrates nicely with the default WordPress content editor. Therefore, you can jump back to that editor to adjust images or text, yet the code from the visual editor won’t get messed up. This WordPress page builder is a somewhat watered down version of options like Divi and Elementor, but it works wonders if you’d like to clear out the clutter. For example, the 10 full page templates are nice as a starting point, but other page builders have larger libraries. The free version is basic enough for the average webmaster to jump in and start designing without training. The premium version has hundreds of plugins and shortcodes, along with thousands of vector icons. 10 page templates come along with the plugin so you don’t have to build your site from scratch. The WordPress page builder presents a beautiful frontend live editor, and this doesn’t conflict with any edits made to the backend WordPress editor. The Oxygen app is a little different than your average WordPress page builder since it works through a separate sandbox module–that’s still connected to WordPress–but it’s actually what I would consider separate. One aspect I really enjoy about Oxygen is that it cuts out most of the main tabs and toolbars you would typically see from WordPress and focuses only on the page builder options like buttons for making containers, paragraphs, and text blocks. Oxygen goes for a set price of $99. This includes a 30-day money back guarantee and lifetime updates for an unlimited number of websites. Therefore, you don’t have to keep paying a yearly fee for simple support and updates. The point of Oxygen is to make sites within minutes, and the prebuilt components allow you to generate your own designs in a rapid fashion. HTML elements are also included in case you’d like to build your site in a more traditional manner. Oxygen has an import/export feature to quickly move designs from one site to another. In addition, you can use Oxygen alongside other page builders like Visual Composer, Beaver Builder, and Elementor. This is a strong advantage if you find certain features in each WordPress page builder that you like. Oxygen provides full coding ability (with Java, HTML, PHP, and CSS,) along with a solid visual frontend builder. You can combine Oxygen with other page builders like Elementor, just in case you like features from both. This WordPress page builder provides you a lifetime of updates and support, and you can use it on as many client sites as you want. Live Composer is another free, open-source WordPress page builder, so you can navigate to the site and download the plugin by typing in your email address and name. It offers a frontend drag and drop interface so you don’t need to know anything about coding. The editor makes a responsive design and it comes with over 40 content modules for quick and easy development. Live Composer has two themes for you to get started with your design, and it provides a specific WooCommerce integration that you can buy for $69. This delivers full customization for everything from product pages to cart pages. The only part you would have to pay for is if you needed that WooCommerce support or one of the many extensions. The extensions are sold in a package for $49. Other than that, the Live Composer plugin is a basic, yet intuitive, builder for all skill levels. I would like to see a more comprehensive list of modules with the free version, but you can take advantage of the extensions if needed. You don’t have to pay a dime for the page builder. You can opt to pay for a full drag and drop WooCommerce editor. The company also sells premium extensions for things like Google Maps, video embedding, gallery images, and animations. Visual Page Builder from MotoPress doesn’t have the same exposure as some of the more popular page builders on this list, but it’s an affordable solution ($29,) with support for all themes, pages, posts, and custom post types. It combines with the WordPress editor to create a fully visual frontend editing experience. Not to mention, the plugin is WordPress multisite compatible if you have a network of sites. The standard plugin offers several premade themes and a multilingual interface to change your site text for everyone to understand. Even if you’re only interested in the full Woocommerce support or the included Google Web Fonts, the Visual Page Builder from MotoPress is worth a look. It’s one of the cheaper premium page builders. The plugin focuses more on the real-time visual page builder, so it’s great if you have no interest in the backend. You receive a little WooCommerce support in the standard plugin. The WordPress page builder includes a handful of premade page templates and themes. Brizy might be one of the newest page builder plugins on the market, but it’s developed by the team over at ThemeFuse, who have been creating WordPress themes for many years. This makes them seasoned veterans to the theme and WordPress space and have learned what users need and want. They focus on making it as easy as possible to design pages for your website. There is a free version and pro version of Brizy. The pre-sale version (offered for a limited time) starts a higher price point of $231. This might seem like a hefty fee, but unlike most other premium page builders, this isn’t a subscription. You pay once and you get all of the features and updates they release for life and you can use it on an unlimited number of sites! Brizy has everything you need to get started designing without having to know any code. Everything is either a single click or drag away. Unique licensing for pre-sale version. Pay once and get lifetime updates and the ability to use on all of your WordPress sites. One of the better designed UI’s we’ve seen in a page builder plugin. Over 150 pre-made blocks ready to drag into your page. Has an awesome auto-saving feature which means you never lose your work. Has a Facebook group to chat with other fellow Brizy users for additional support and ideas. Themify Builder has the distinct advantage of being built into all Themify themes, so if you stumble upon a Themify theme from the collection that fits your needs, you don’t have to worry about integrating a third-party WordPress page builder or paying for anything extra. The Themify Builder sells for $39, yet that only gets you the builder and none of the interesting Themify builder add-ons. In my opinion, you’re better off paying the $59 to receive all the add-ons with the builder. There’s also a Builder Lite version, which you can download for free. Let’s begin with the free builder features. To start, the page builder has responsive elements across all resolutions. The frontend live preview editing removes the need to mess around in the backend much, while the default drag and drop module includes the following: Text, audio, accordion, gallery, post, widget, and more. Some premium tools are included in the free version, such as the import/export feature, copy and paste modules, draggable column widths, and an undo/redo feature. The premium Themify Page Builder offers more for advanced developers, since it has an area to type in your own custom CSS. This opens up all sorts of customization possibilities, while also combining well with the reusable parts feature for making custom CSS modules and reusing them elsewhere. The primary advantage of the premium version is the over 60 predesigned builder layouts. You also get over 60 animation effects and responsive styling for the most realistic design center. The free version includes features that you often have to pay for with other WordPress page builders. The main reason you would go with the paid version is if you wanted certain builder layouts, animation effects, or the dozens of Themify add-ons. The paid version is affordable, and you can make a small upgrade to gain access to dozens of unique add-ons. The Themify Builder has over 60 predesigned builder layouts and 60 animation effects. It provides an unusual tool where you can hide some website elements depending on the device being used. You also have the option for custom CSS, just in case you’d like to revert back to more traditional design methods. We also can’t let you leave without at least mentioning Gutenberg, which is a take on a new editor for WordPress. Their goal is to editing and creation of content easier, especially for those just starting with WordPress. They are embracing “little blocks” and hope to add more advanced layout options. This is similiar to what some might call a page builder. However, it is still in beta, so we’re all waiting to see how it turns out. It’s estimated to ship with WordPress 5. There are so many page builders on the market that we can’t cover all of them, but here are a few additional ones that deserve a mention. And of course, we can’t forget popular themes such as Avada and the X WordPress Theme. Avada has its own Fusion Builder built in, and the X theme has both Visual Composer bundled with it as well as its own, Cornerstone. Cornerstone is also available separately. But we’ll be covering multipurpose themes more in-depth in another post. ? Some page builders might increase load time on your site. This is because they have to load additional CSS and JS to make things work for you without code. We always recommend speed testing your WordPress site before and after installing a page builder. You’re making a commitment and locking yourself into that page builder for design. Make sure you pick one that is regularly updated and has everything you need for the long haul. You’re bound to find all sorts of results when you search for WordPress page builders in Google. Hopefully, this guide allows you to minimize your options and make an informed decision based on your budget, experience level, and the kind of features you desire. If you want the most bang for your buck (lots of features for a good price): Consider Elementor, Divi, Beaver Builder, or Brizy. If you’re interested in a rapid, simple page builder: Try GeneratePress with Sections, Page Builder by SiteOrigin, or WP Page Builder. If you’d like a free WordPress page builder: Check out Elementor, Page Builder Sandwich, Live Composer, or Page Builder by SiteOrigin. If you’re looking for a more powerful page builder with support for advanced coding: Look into Divi, Themify, Visual Composer, or Oxygen. If you have any questions about the best WordPress page builders, please let us know in the comments below. Also, share your experiences with the page builders you’ve used so that others can learn more. Good to know there are other options as well apart from Visual Composer & Divi. What, no KingComposer ? great page builder. It’s only a shame there are not that many third party add-ons being created for it like Elementor. Thanks for the article ? Elementor is really amazing. But I agree that KingComposer is awesome as well and worth checking out. Specially KCBox feature and deep rows and columns nesting and doesn’t ruin your page after switching it off. Thanks for the comment Darron! We’ve added KingComposer to the additional page builders at the bottom to check out. Thrive architect from thrivethemes. That thing is pretty powerful. We’ve added Thrive Architect to the additional ones to check out at the bottom. Thanks Rudolf! This is a comment on PageBuilder by SiteOrigin: your article states that it is completely free, with no upsells. Actually, they offer a premium version. While they don’t pressure anyone to upgrade, and their free support is actually quite good, I did go with the premium plan for faster email support. Thanks Lucas! We have updated the above post. You are correct, their page builder has both a free and a premium version. This is a great rundown of the top page builders, thank you. Now for a questions, Are any of these building WCAG compliant? 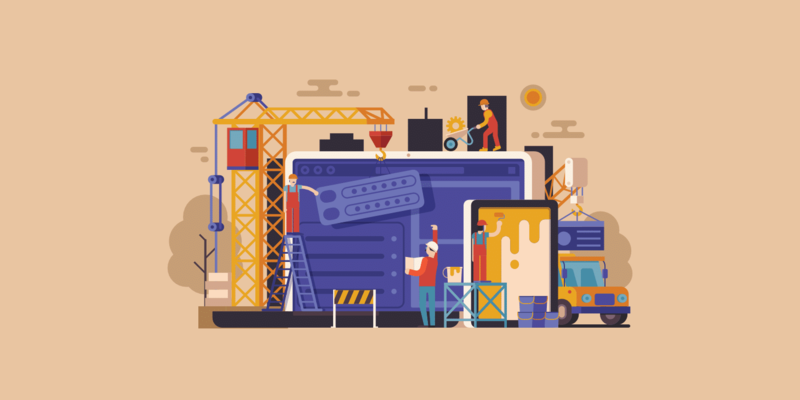 As more and more organisations are required to abide by accessibility standards, having page builders that follow those standards are becoming increasingly important to many companies. Theme.co’s Cornerstone / X-Theme is a thing of beauty too. It picked up where Visual Composer fell flat and made it a full interactive front end designer with features for both serious programmers and hobbyists alike. If you buy it as part of x-Theme (like Divi), you get access to a slew of other plugins that are bundled for free. I second cornerstone. Love it and I love the direction all of the new updated are going. BeaverBuilder does offer a free “lite” version. Thanks Stacy! We have updated the above post with mention of Beaver Builder’s free lite version. I can’t believe you have left off Avada’s Fusion! This is the best selling page builder for WordPress. I use it for the majority of my client websites (I own Open Formula Web Design and SEO). Granted the code is a little heavy but with careful use of settings and imagery (optimised) and good hosting then this for me is the best all rounder. Even so I still believe this warranted being included in the list. I spent a year researching themes / page builders and settled on Avada. And no, I don’t work for them! We have added a mention towards the bottom for the Avada theme. We’ll be covering multipurpose themes more in-depth in another post. Thanks! Thanks for suggestions! I’m a fan of the MotoPress editor – really affordable and easy to use for a blog. We have added a mention towards the bottom for the X WordPress theme. We’ll be covering multipurpose themes more in-depth in another post. Thanks! Cornerstone is a builder from Themeco that is available separately from the X Theme. Thanks Sean, have updated the post above with that info. Visual Composer is pure trash. People only use it because it is baked into many Themeforest Themes. If you use VC, please try one of these other options. I think you have mistaken Visual Composer with the WPBakery page builder. Visual Composer Website Builder is a completely different product. Also, what is so bad about the page builder? I hear people saying that but is there any specific case? You should check out PAGE BUILDER PRO from Pootle Press. Thanks for the comment Tim! We’ve added the Pootle Pagebuilder to the additional ones to check out at the bottom. Thanks. DIVI is absolute CRAP!! Please steer clear! I would not wish on anybody what I had to go through after weeks, months, of no fixes from support. Had to basically trash a 40+ site multisite and start over. Blurbs stopped working (just a big ol line of nonsense characters) background videos stopped working, images would disappear on upgrade, site speed? unbearable! Still can’t believe these lists still include the Divi builder. Wish I had to funds to sue them! Are any of the page builders accessible? Hey Mark, I haven’t checked this extensively, but just knowing how most of them work, I can say that a lot of them aren’t. However, I do know I have seen Elementor making WCAG Compatible fixes in their changelogs. So it really depends on the developers behind the page builders, how they are coding, and if they are abiding by accessibility rules. Brian, thank you for the information. I’ll have to take a look at Elementor. I believe Gutenberg will be accessible when it’s in final release. Brian, thanks for including Elementor in this comprehensive and well researched article. No problem Ben! Elementor is a great page builder and excited to see the changes you bring next. I’d love to see more focus on performance comparison. Is there a speed test out there? Hey Andrew, we’ll see if we can get some time to run performance tests. Personally I recommend going with Elementor or GeneratePress if you want the best speeds. It’s sometimes left out of page builder reviews because it’s marketing oriented, but Thrive Architect is actually the most capable product out there – optional absolute positioning anyone? It’s a true joy to use, way less clunky than WPBakery, results in far less page bloat than either Divi or Themify, and their YouTube channel, Thrive Themes, is brilliant. Hey Chris, we’ve added Thrive Architect to the additional page builders at the bottom of the post. You’re right, it definitely deserves a mention. Thanks! I think that being a hosting site you should mention one of the more important things regarding this kind of plugins: performance impact on sites! Im using Visual composer, but been advised to use Elementor as it does not fill pages code with shorcodes, just uses html/css, so much better in terms of site speed/performance. Totally agree Julio. We’ll see if we can get some time to run performance tests. For best performance I highly recommend Elementor or GeneratePress! We’ve run performance tests for the Visual Composer Website Builder – you will be surprised :) Hope Brian will do that testing. Interesting to see how these Page Builders work with Gutenberg. At first I thought Gutenberg was going to replace these page builders. Now I think it mostly change the way they operate, but not replace them. I’m new to the subject. But wouldn’t Thrive Themes or OptimizePress also fall into the category? I’m exploring Thrive at present and it seems pretty cool. Definitely! I’ve added Thrive Architect and OptimizePress to the additional mentions at the bottom of the post. Thanks! Hey Reza! Great question. This is mainly due to ease of use and performance. It’s by far one of the fastest ones on the market. Have you tried the new GP 2.0? With dynamic CSS caching, removal of PHP bottlenecks, default option of system font stack, smaller Font Awesome essentials, etc… the developer cares a lot about optimization. And with the premium GP sections add-on you can do all sorts of things now with it. I think you should include MotoPress Content Editor in your list. Their team did a good job. Actually I recently did an in-depth comparison and found MoroPress is more flexible than others. The page builder from MotoPress is already included in our post above. Thanks! Happy to include it Emily! Keep up the great work. GREAT SITE!!! I appreciate all the great info and hard work you’ve put into it to help others. I just learned of the Gutenberg plugin/project I think I will that today and play around with it. I’m curious if you know of any particular themes it might work with the best or if there are things that you shouldn’t even waste your time with? I’ve been using Thesis 1x on most of my sites for years along with Yoast WordPress SEO I considered trying the 2x version but in my opinion the leaning curve is a bit ridiculous for a theme upgrade. Thanks Howard, that means a lot! It’s been a while since I’ve tried Thesis. I personally recommend checking out GeneratePress or OceanWP themes :) I use GeneratePress on all of my sites (both blogs and ecommerce). Why are there no “cons” listed? The problem of lock-in has burned many users of page builders. I’m a newbie. I have written code for small sites, but I find working with WordPress AGONY as far as styling. I have been using the Elementor plug-in and it seems to have one major flaw that I consider a deal-breaker. You can not make images responsive. This is particularly problematic if you are using a header image that covers the page, or a background image. The workarounds are so clumsy and difficult that it negates the benefit of having the other page-builder options. Way too much work to get a header image to work on different devices. Hey Nuno! That is a great question. We are big fans of ACF at Kinsta and use it ourselves. However, we wouldn’t recommend using it as a substitute page builder without some development experience. There are some things that are easy to do in it, and others that require hooking ACF into your theme directly. Great content on page builders. But I want to know which theme and page builder does Kinsta use for its blog? Our theme is completely custom, built by our internal development team. Hi Brian, Thanks for listing Visual Composer. Happy to be on the list. By the way, in Visual Composer, we have completely solved the “lock-in” issue that everyone is talking about.